“They have to pay, they have to pay,” the Luxembourger insisted, according to a report by Reuters. “I am not hating the British. The Europeans have to be grateful for so many things Britain has brought to Europe, during war, before war, after war, everywhere and every time, but now they have to pay,” he declared. Britain has, in fact, already paid over half a trillion pounds to the European Union since joining it in 1973, when it still called itself the European Economic Community. These contributions are somewhat defrayed by agricultural subsidies and regional aid which it returns to Britain, as well as the rebate which was won by the late Margaret Thatcher in 1985 — although this was significantly eroded in 2005 under Tony Blair. Nevertheless, the United Kingdom still makes a large net loss on its contributions overall, and looks set to lose close to £14 billion in 2017. 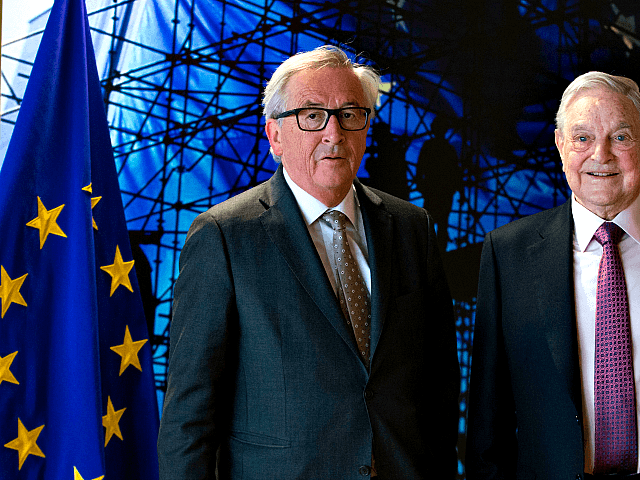 But President Juncker was adamant that there the British and EU negotiating teams “cannot find for the time being a real compromise as far as the remaining financial commitments of the UK are concerned”. This means that, in his view, “we will not be able to say in the European Council in October that now we can move to the second phase of negotiations” — which would include talks on a future UK/EU trade deal. The eurocrat-in-chief wants Britain to commit not just to its current spending commitments, but to ongoing spending on the pensions for European bureaucrats, empire-building in Ukraine, and more — however, he remains reluctant to accept that Britain should be apportioned any share of the EU assets which it helped to build up over decades of membership. Brexit supporters such as star backbencher Jacob Rees-Mogg believes the EU stance is unacceptable, and that the UK cannot possibly commit to paying a large Brexit bill before the EU consents even to discussing Britain’s level of access to the EU’s Single Market after Brexit.